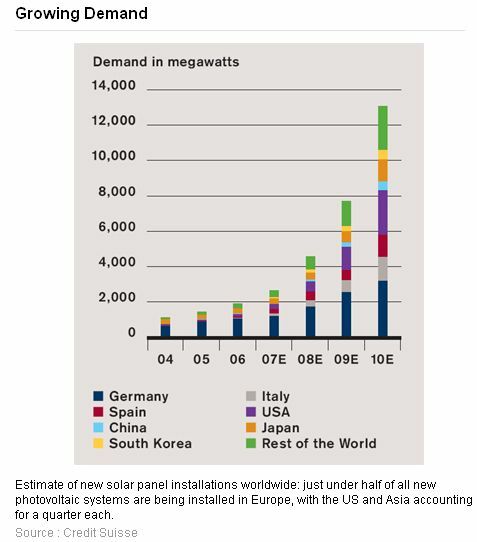 February 9, 2008 (BusinessWeek) – SolarWorld AG is planning to invest EUR 60 million in the construction of a factory for solar modules in South Korea. The site will initially have a capacity of 120MW, twice as high as the figure planned in October. The factory’s capacity will then be doubled at a later date. Solarworld is planning this project together with Solarpark Engineering, its South Korean joint venture partner. This is the companies’ first site for the production of solar modules in Asia. The new factory is to become operational at the beginning of 2009. 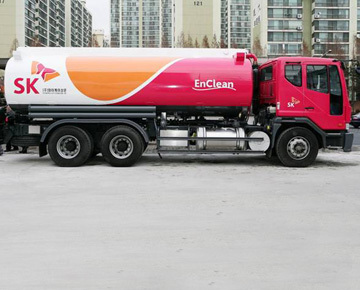 December 17, 2007 (The Korea Times) – Use of biodiesel remains quite low at home. But the domestic biodiesel market seems to have reached saturation point already as demand fails to follow supply despite government efforts to increase the production and use of the alternative energy. South Korea has an annual production capacity of some 800,000 tons at the moment. But the demand is expected to remain at less than one-fourth of the supply, according to the Ministry of Commerce, Industry and Energy Monday. December 5, 2007 (AME Info) – LG Electronics, a global technology leader and pioneer in home appliance convergence as well as the world’s leading air conditioner manufacturer, announced today that the company plans to expand into the energy solution business to actively respond to energy and environmental issues.Through this move, LG expects to achieve global sales of $7bn by 2010. The company also expects its proportion of sales of commercial air conditioners will increase from 30% of its total air conditioner sales to 50% by 2010. November 22, 2007 (Forbes) – Leaders of 16 Asian nations including China and India signed a pact on the environment Wednesday, pledging action on climate change and forest cover, and promoting the use of nuclear energy. The East Asia Summit members threw their support behind a UN plan as the ‘core mechanism’ for tackling global warming. November 12, 2007 (Credit Suisse Equity Research) – In less than two hours, enough solar energy reaches the surface of the earth to satisfy the entire energy needs of the world’s population for a full year. At least, that’s the theory. In practice, solar cells generate not even 0.1 percent of the electricity produced around the globe. The potential is therefore huge, and the political will to promote environmentally friendly power generation is growing steadily.